These are the perfect Acoustic Bands for weddings, corporate events & parties in Derbyshire, locally sourced by our entertainment experts. 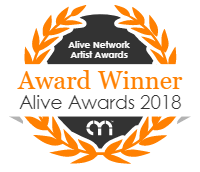 Find the best Derbyshire Acoustic Bands only at Alive Network, the UK's biggest entertainment agency. Noah's Ark are a young, contemporary & soulful acoustic duo with fantastic male & female vocals! Covering various artists such as Al Green, Beyonce, Emeli Sande, The Beatles, Etta James, Stevie Wonder and more, Noah's Ark provide the perfect atmosphere for ANY event!! Explosive Acoustic Power Trio delivering a message of Unity, Sensuality and Fiesta. Original and traditional songs touched by Latino, Flamenco and Afro-Cuban influences woven together by driving dance rhythms. C and H Acoustic are an acoustic duo, wedding singer and guitarist based in the Midlands. Bringing you the finest and most exclusively tailored music to your wedding day, birthday party or event, which you won't find anywhere else. Want help finding your perfect Derbyshire acoustic band? If you would like assistance finding the perfect live acoustic act for your event in Derbyshire, simply give us a call or submit the quick enquiry form below and one of our talented entertainment coordinators will be happy to assist. 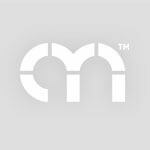 Alive Network are Derbyshire's largest live music and entertainment agents and one of the leading live entertainment agencies in the UK. We specialise in providing Derbyshire's best live acoustic artists, singers, musicians, DJs and entertainers for events across Derbyshire.